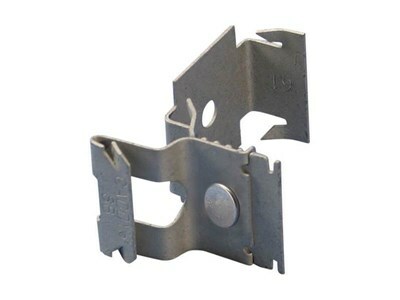 Switch Box to Metal Stud-1/4-20 thread impression to metal stud riveted for 5/8 Inch dry wall* - Each. Our line of Erico Electrical and Datacomm Fasteners are perfect for those big contractors running thousands of feet of cable. Or someone just doing a few home improvements. Whoever you are, Erico Electrical and Datacomm Fasteners are the right choice for you. ERICO offers the Switch Box or Conduit to Metal Stud. Allows the switch box to protrude through any size dry wall 1/4", 3/8", 1/2", 5/8" or 3/4"
For most dry wall studding.